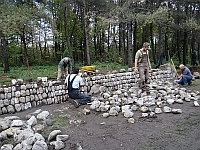 "Taking Sean's workshop improved my skill and efficiency at walling, and the instruction was detailed, specific, and thorough. I can recommend Sean an instructor for all levels of walling. I really appreciated his enthusiasm and obvious love for the craft and stonework in general." "The workshop that I took with Sean in the summer of 2012 was great! 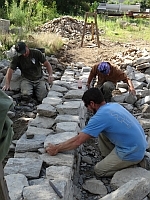 There were five of us participating with varying degrees of experience in stonework, but everyone came away with helpful ways to improve their abilities. For me, his workshop helped with my speed of laying a wall (much faster) with no loss of beauty or structural integrity. His attention to detail and humor made the process really enjoyable for everyone involved. 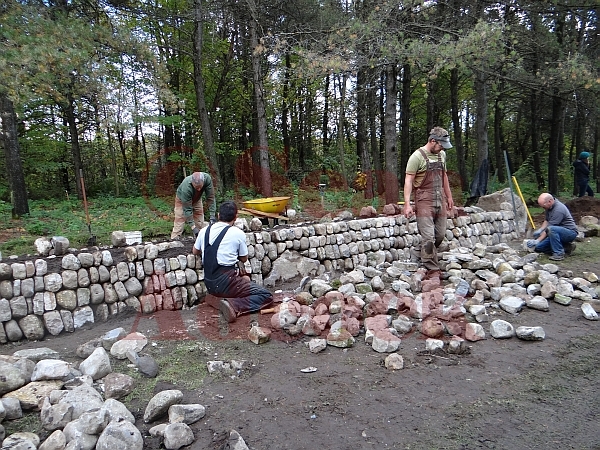 You could feel his passion for walling and came away excited for the next opportunity to practice all the new skills learned from the workshop. 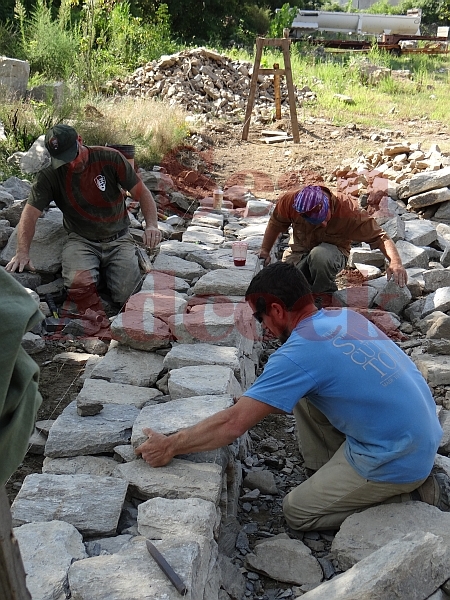 I would recommend his workshop to anyone excited about stones, he is a great teacher!" The workshop I took on building a Clawdd wall was thorough and well worth the money and time spent. My skills improved over the three days thanks to Sean's feedback and advice. Sean's passion and knowledge for his craft come through in his teaching and you cannot help but learn and improve from working with him. I highly recommend taking a workshop with a true master of the craft like Sean. I have given talks to various groups across he UK... from Branches of the DSWA to Farming and Wildlife Groups and Historical Societies, and to the general public. I have spoken at around a dozen Conferences, Symposia and Courses in UK, Europe, Canada and USA. I am able to give presentations on a variety of aspects of the craft and can usually come up with something new to order! Situated near Woodstock in Upstate New York, Opus 40 is on the US National Register of Historic Places. Recognised as one of the first pieces of 20th Century Land Art the 4 acres of dry stone terraces, steps, ramps, passageways and pools was built between 1938-76 by one man, Harvey Fite. 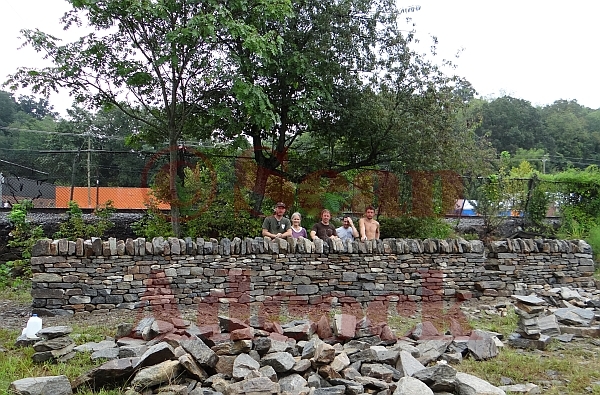 In 2011, following Hurricanes Irene and Sandy a 16 feet tall section of terrace collapsed. This is the story of the man, a site and an epic restoration. Eire is awash with ancient dry stone structures, most notable the Western Stone Forts typified by those found on the Aran Islands and beehive structures such as those of the 7th Century Monastery on Skellig Michael, a World Heritage Site. 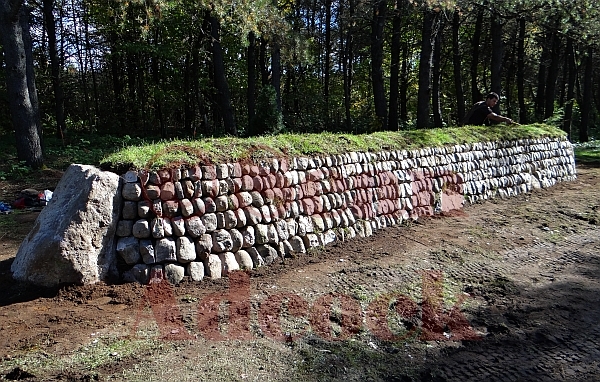 In 1996 I carried out a major rewrite of BTCV`s "Dry Stone Walling". I revamped the technical and safety sections, adding additional technical chapters. Unfortunately this is no longer available free online. I have also produced two booklets for the North Wales Branch of the Dry Stone Walling Association... "Stonework" and "Clawdd Construction"